Questionmark provides a wealth of documentation and assistance resources for our users. For version 5 of Questionmark Perception, there are more than 30 manuals and more than 400 detailed, knowledge base articles on our technical support site. We also have a developer support site, a learning cafe, best practice guides and more, including this blog and our Community Spaces social networking site, which includes interactive forums and other resources for our software support plan customers. Customers can find documentation by using search and drill down, but in order to make it easier for them to find what they’re looking for, we’re introducing a roles based look-up system for our user assistance resources.This is now available to Questionmark software support plan (SSP) customers. Obviously, work roles vary in different organizations but we’ve identified three main sectors for our customers: Corporate / Government, Academic and Awarding bodies. 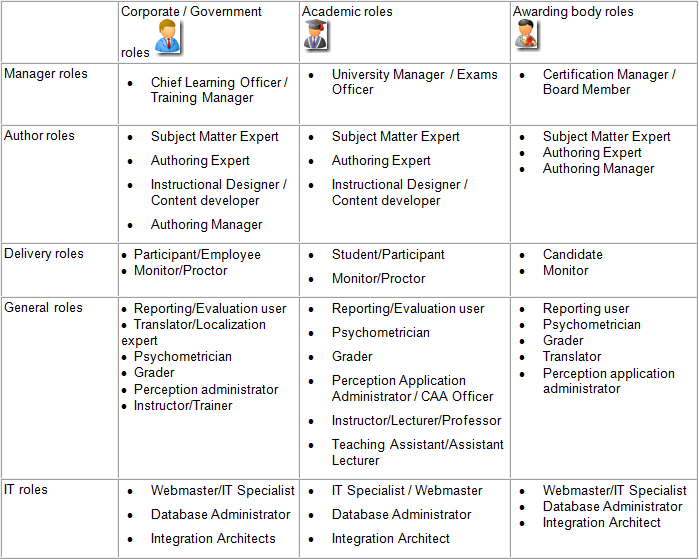 We have also defined 15 or so roles in each of these sectors. 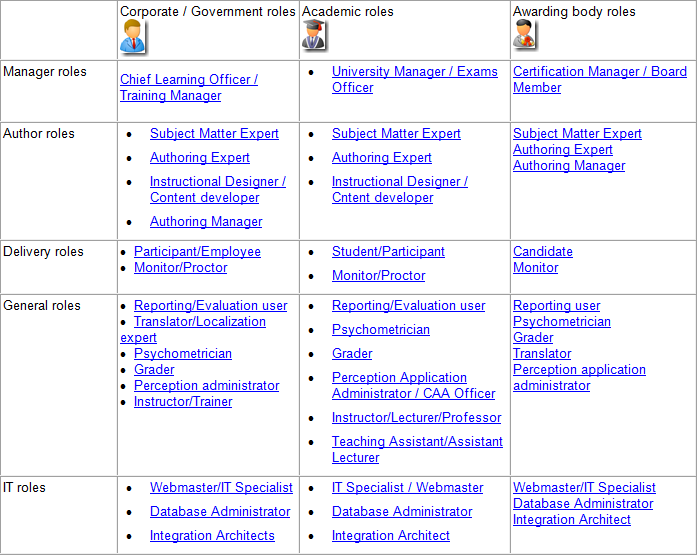 For each of these roles, we have a landing page that gives helpful resources for each role. And we will be extending this to allow searching and knowledge checks by role over time. As always, we’d welcome feedback on whether these roles make sense for you. Please let us know whether the role pages are helpful and/or how we could improve them.